Bless my heart... I'm recapping August near the end of September. It's been that kind of month, y'all! Between traveling and moving, I haven't opened my computer much. So, forgive me for being so tardy to this recap party. 1. Fernbank Museum – My son is obsessed with dinosaurs, so Nick and I finally took him to natural history museum in Atlanta. Seeing the wonder in his eyes was so precious, and he told us so many dino facts that came from books we’ve read together. What a sweet reminder that the time we spend reading is always worth it! 2. Visiting Kelly – Kelly has come to visit me, and earlier this year I met up with her in England for the best trip EVER. But I hadn't yet made it to Wisconsin! The timing finally worked out, and I spent five days with her. We scoured bookstores, devoured good food, slothed in our jammies, went on adventures and never stopped talking. 3. Solo Blogging Day – My husband works from home, and I love so many things about this arrangement. The biggest is the opportunity for spontaneous alone time! He went to lunch with his dad one day and took our son, so I got to take my planner and laptop to the bookstore for a few hours. Living the dream! 4. All the Pool Days – We went to our neighborhood pool more in August than we did the rest of the summer! School starts back pretty early here in Georgia, and I noticed that our pool was practically empty every day once it did. From that point on, we went to the pool every chance we could! It was so fun without a crowd. “Learn to say no. And when you do, don’t complain and don’t explain. and roll back and reconsider because it's like this, having a mind. and forgive and behold because it's like this, having a heart. “Even when other things come in loud, we have to keep choosing each other. That's marriage. You can't only say the words once and think they'll stick. “Nobody warns you that life continues to be complicated after you’ve Done the Right Thing. 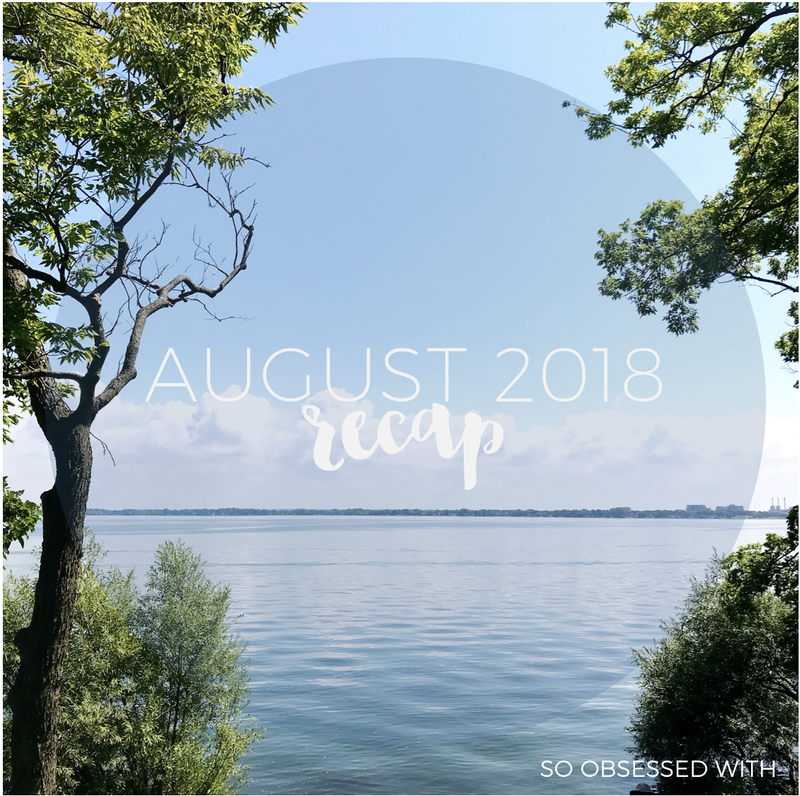 My blogging motivation tanked in August, and it was a miracle that I managed to post four times. I'll my trip to see Kelly + all the craziness of packing, but it's also just that I really wanted to read during my downtime. 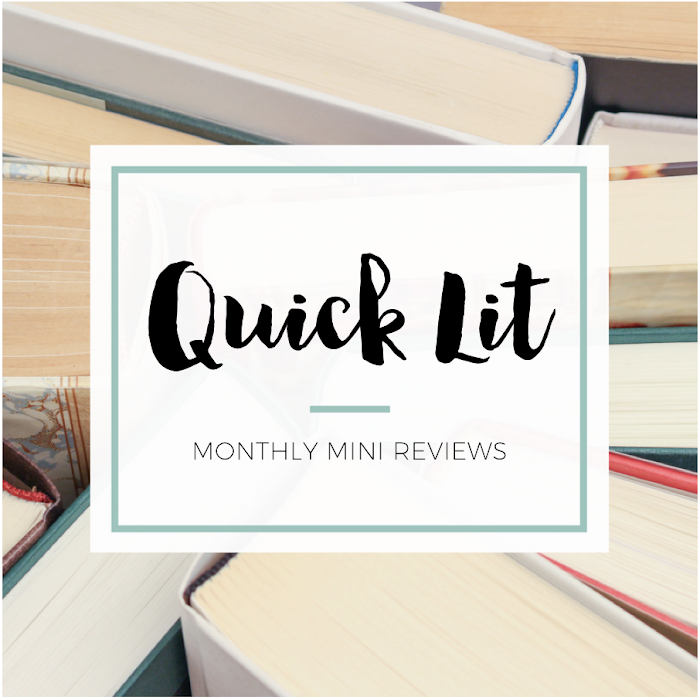 I shared my July 2018 Recap, and my July 2018 Quick Lit had mini reviews for all 14 books that I read that month. The most exciting post in July was celebrating a big milestone – My 1,000th Blog Post – and reflecting on comparison and finding peace with where I'm at right now. 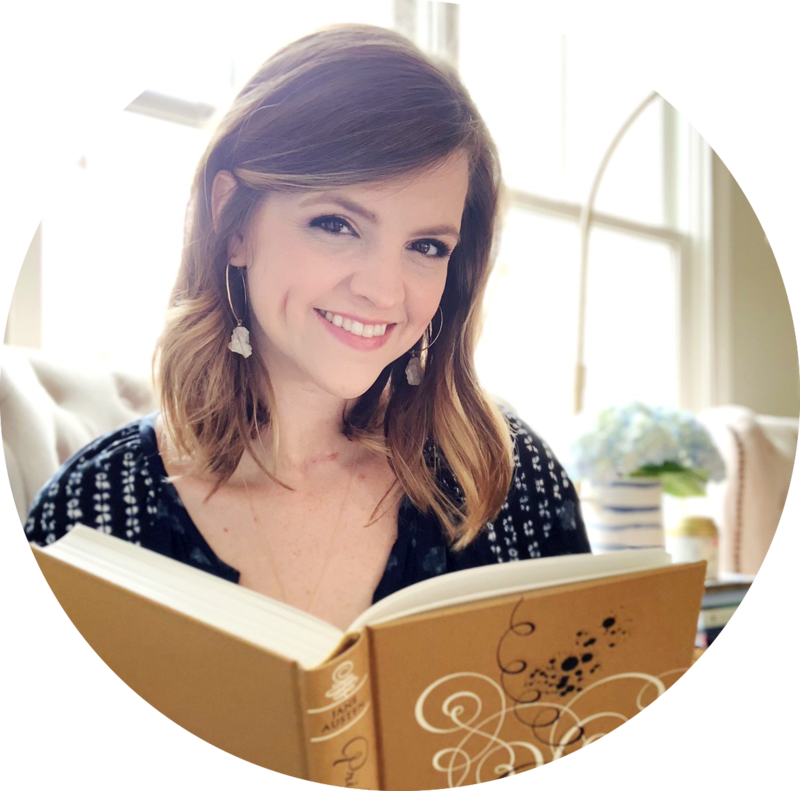 And finally, my favorite post was talking about When You're Feeling Blah About Books with 10 tips for overcoming a reading slump and pairing each tip with a book. I'm finally almost caught up on my Feedly, but I forgot to save anything while I was going through it. Probably because there was so much I missed! The majority of things I've been saving lately are house-related (more on that in my September recap), and I'm pretty sure y'all don't need to see all my decorating inspiration. Haha! I loved this movie so much (see the section below! ), and the music was one reason why. I had this playlist on repeat all of August and still haven't turned it off. The Guernsey Literary and Potato Peel Pie Society (2018) starring Lily James and Michiel Huisman – I'd been looking forward to this release for months, and it was such a happy coincidence that it came out my last day in Wisconsin with Kelly. We watched it together, of course! I was a little disappointed by it but can't put my finger on why. It was fine and I liked the cast, but I don't think I'd watch it again. To All the Boys I've Loved Before (2018) starring Lana Condor and Noah Centineo – Here's another book-to-movie adaptation that I couldn't wait to watch, and it far surpassed my expectations! I watched it five times in the first week it released, and I love basically everything about it. I ended up re-reading the trilogy on audio afterward because I needed more time with these characters. PS: HELLO, MOVIE PETER. Crazy Rich Asians (2018) starring Constance Wu and Henry Golding – Here's another book-to-movie adaptation, but I cheated with this one: I watched the movie and haven't read the book yet. Oops! Nick took me to see this on a date night, and we both loved it. I'm totally here for the return of the rom com! I can't wait to watch this again and again once it's on Blu Ray, and it made me even more excited to binge the series. Iliza Schlesinger Netflix Comedy Specials – I watched all four of these at the beginning of August and then against when I was with Kelly. I needed her to share my Iliza obsession! I started with Elder Millennial (2018), and it's definitely my favorite of the bunch. Confirmed Kills (2016) was next, followed quickly by Freezing Hot (2015), and I go back and forth on which one I love more. Maybe Freezing Hot? But only by a smidge! And finally, I finished with War Paint (2013) which was my least favorite but was still hilarious. I love Iliza's writing and delivery! Yes! I love Iliza! Have you read her book yet? If not, I highly recommend the audiobook.